We're looking for a machine learning scientist who conducts research and development with the goal of enabling anyone to easily create images that cannot be distinguished from reality, and move them in real time. We realize next-generation computer graphics using deep learning, which makes everything indistinguishable from reality. We are building a smartphone app called Xpression, which uses deep learning to easily create fake videos that is indistinguishable from the real thing. Xpression allows you to replace someone else's expression in a video with your own in real time. In order to produce training data, we are creating a facial scanning system, consisting of 50 cameras and polarized LED lights, that enables us to capture a high-detail facial model. We are also releasing an app, EmbodyMe, that enables anyone to create a 3D avatar that looks just like them from a single photo, and use that model to communicate in virtual reality. Our expert team, consisting of people from a variety of backgrounds and with a range of accomplishments, have had papers accepted by top conferences such as SIGGRAPH, received various awards, written technical books, given speeches at a number of large-scale events, and seen our apps maintain the #1 spot on the overall App Store rankings for close to a week. More jobs at EmbodyMe Inc.
Want to get notified about new jobs at EmbodyMe Inc.? 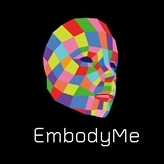 Machine Learning Scientist - Tokyo, Japan at EmbodyMe Inc.